Ambitious £93.8 million plans to continue the transformation of Coventry city centre and Coventry Station have been given the go ahead in the countdown to 2021 when the city is UK City of Culture. The £36.7 million water park currently under construction on the former Spire House site in the city centre will be called The Wave. Coventry City Council’s Cabinet is set to approve a long lease on the Ricoh Arena’s Car Park C, in order to facilitate the development of a new hotel with up to 150 bedrooms on the site. Coventry City Council and the Canal & River Trust are set to work closely together in order to ensure the future of the city’s Canal Basin. Coventry City Council has been in talks with top visitor attraction Go Ape about bringing the region’s first Go Ape to Coombe Country Park - that could be in place as early as April 2019. 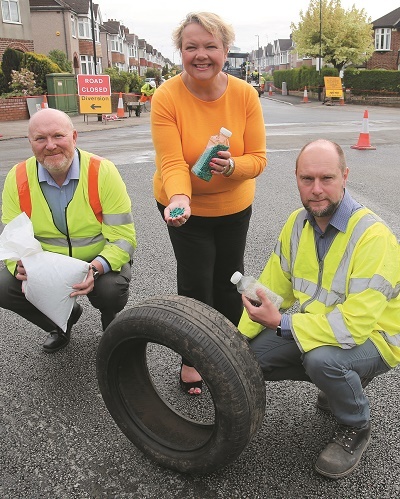 Coventry has become one of the first cities in the country to trial environmentally-friendly alternatives when resurfacing its roads. A £3.8m scheme to transform one of the most historic areas of the city centre is set to move a step closer later this month.